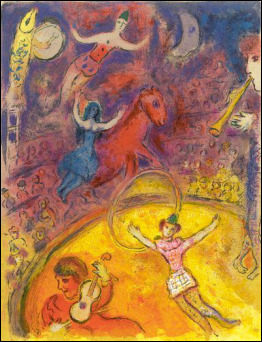 When my life endeavors seem to pull me in such disparate directions - that I wonder how they are all connected - I am inspired by Marc Chagall's beautiful painting, "The Circus." These figures in motion, all float alone. Yet, each is carefully balanced between the others. If one were to be removed, the whole would collapse. My publications address the historical experiences of Jews who lived in predominantly Muslims regions of the globe, with particular attention to Central Asia’s Bukharan Jews. My first book Bukharan Jews and the Dynamics of Global Judaism is published with Indiana University Press, Series on Sephardi and Mizrahi Jews (2012). I am an aficionado of Medieval Jewish History. For ten years I taught a survey course on this topic at Hebrew College, in Newton MA. I am a co-founder of Minyan Tehillah in Cambridge, MA, a community that was created to provide a spiritually uplifting tefillah (prayer), which is grounded in a commitment to halakhah (Jewish law), and to creating a prayer space that is inclusive of both men and women. My active involvement in Minyan Tehillah, has also led to my exploration of Judaism from a gendered perspective. I recently taught Gender and Judaism in Boston University's Religion Department. As of July 2013, I joined Case Western Reserve University's Siegal Lifelong Learning Program, where I serve as Director of the division of Jewish Studies. Prior to that I served as Director of Adult Education for the Jewish Federation of Boston's North Shore. My work in these areas is an expression of my commitment to fostering Jewish community life through education. I am married to Moshe Shapiro, and we are blessed to be raising three sweet, lovely daughters.